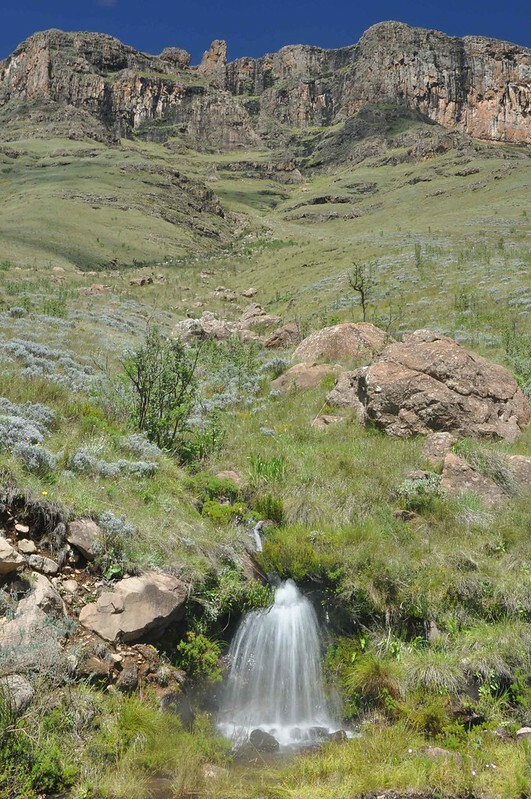 The steep descent down the Sani Pass provides some of the most stunning natural scenery on the continent. 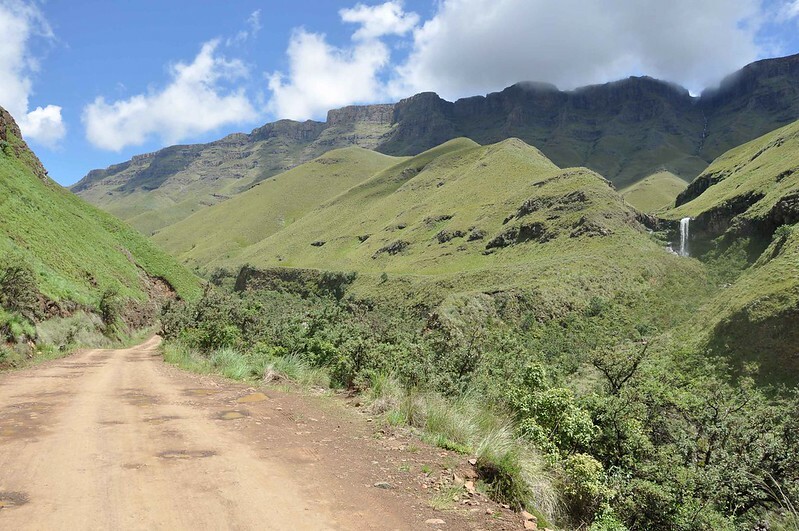 Fortunately the skies were clear when I began the descent on Christmas Day morning, with plenty of waterfalls, wild flowers and mountain streams along the way. Very happy to be going downhill! Some sections of the descent have gradients of 20%. 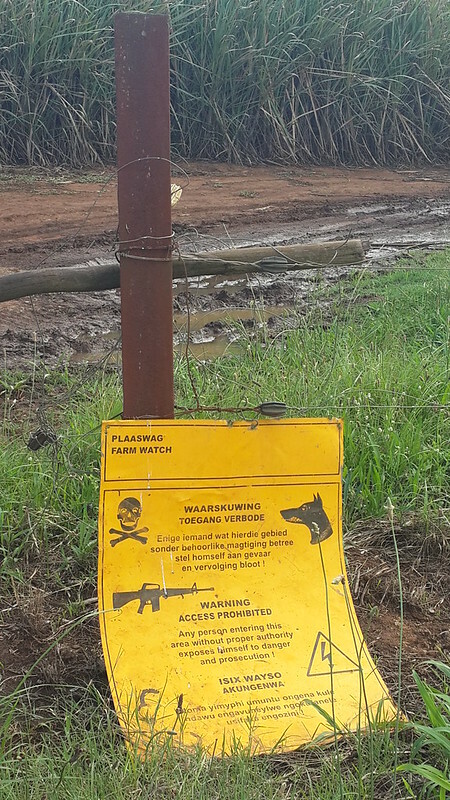 In December 2013 I flew with my bike to Johannesburg. 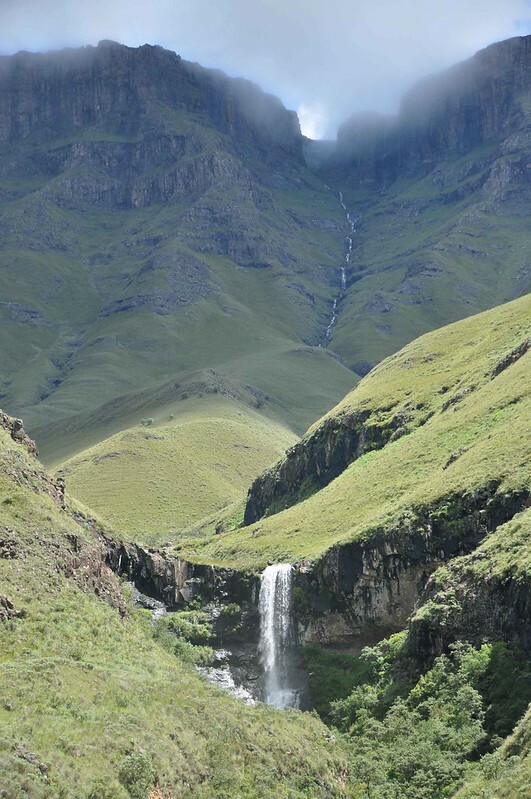 I had 6 weeks of leave and decided it was a good time to explore Lesotho, Swaziland, and see some more of South Africa. Almost there now. 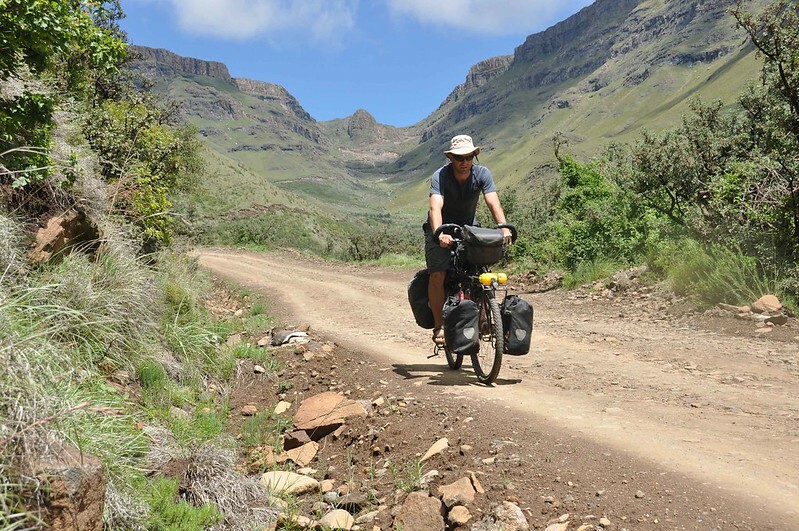 About 120km separate me from Cape Town and the end of the Big Africa Cycle. Or is that the end? Surely I should pedal to Cape Agulhas? That after all is Africa’s southern most point, and doesn’t everyone else who overlands the length of Africa finish here? Except I won’t really be finishing there as I will have to cycle back towards Cape Town, which is kind of less appealing. Apparently Cape Agulhus does have a good Fish and Chip shop though – surely worth cycling another 350km for?